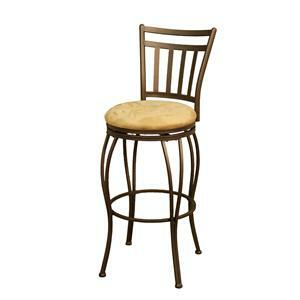 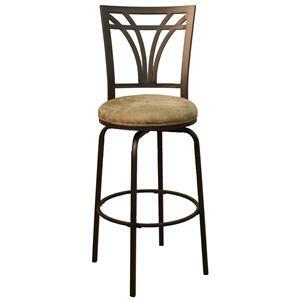 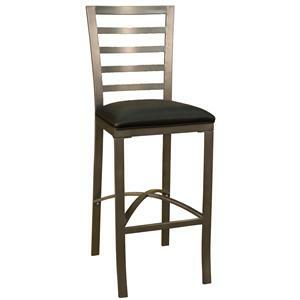 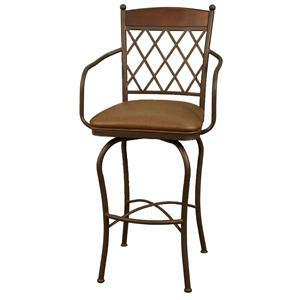 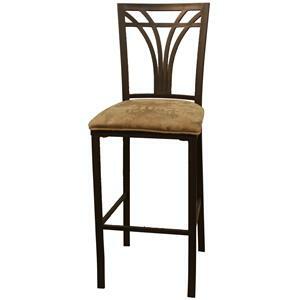 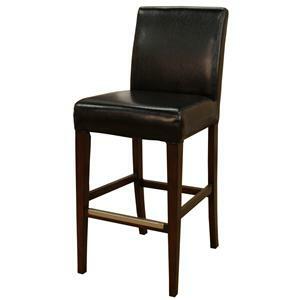 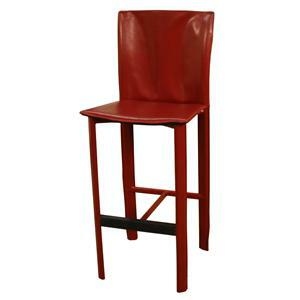 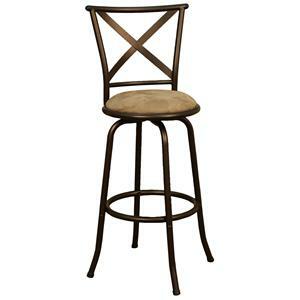 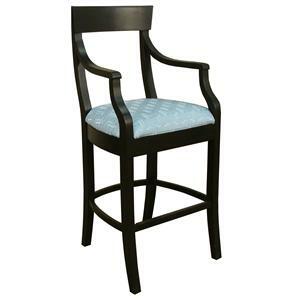 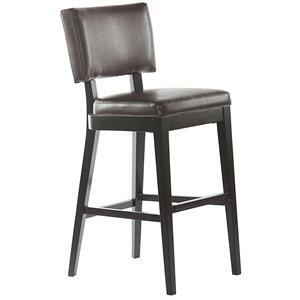 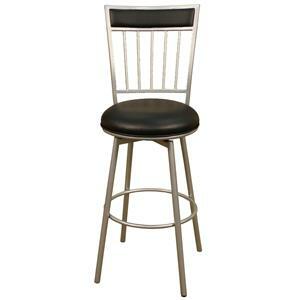 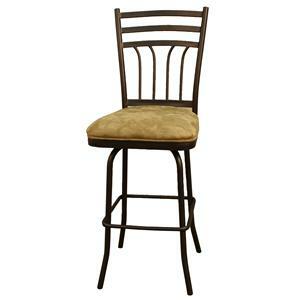 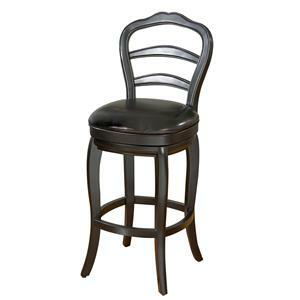 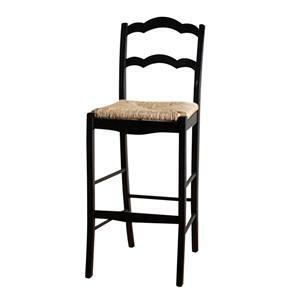 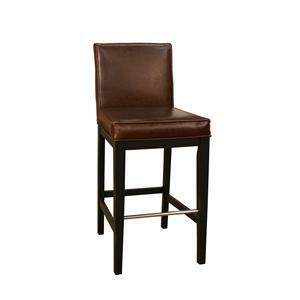 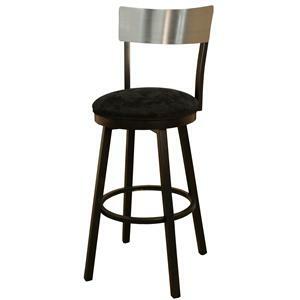 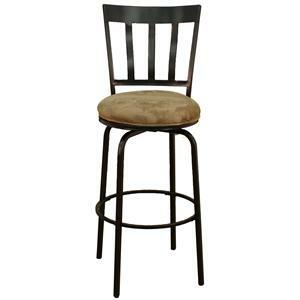 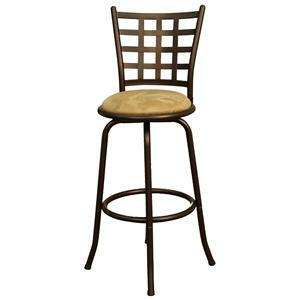 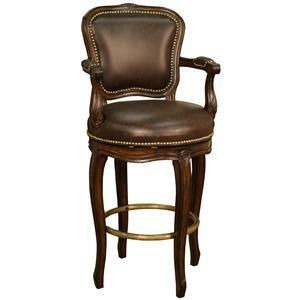 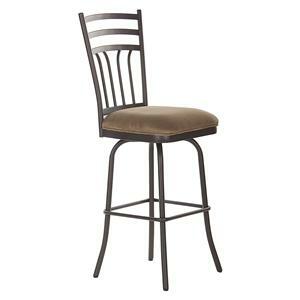 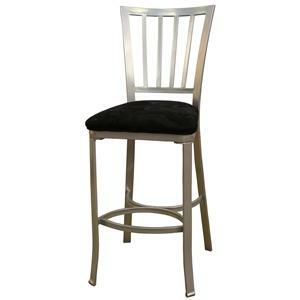 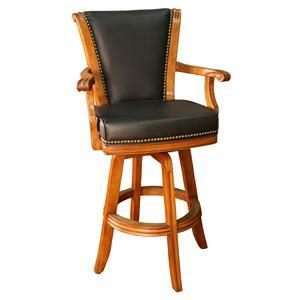 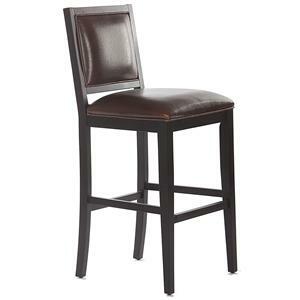 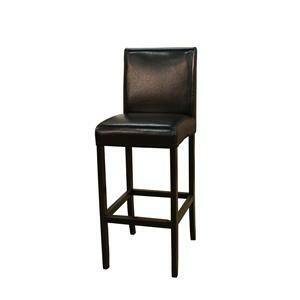 The Dante bar stool is completed in a black finish with Peet micro fiber upholstery to complete the look. 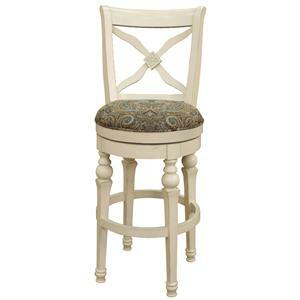 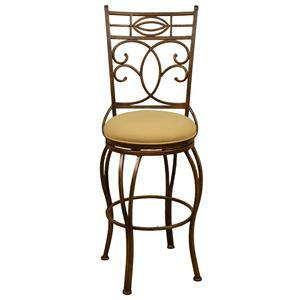 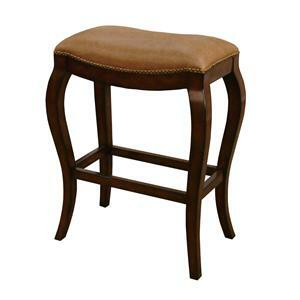 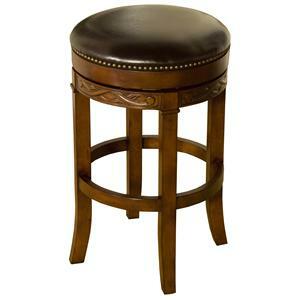 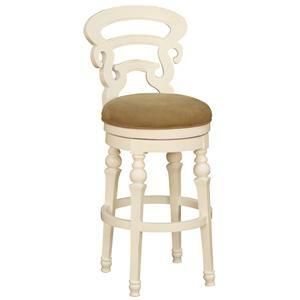 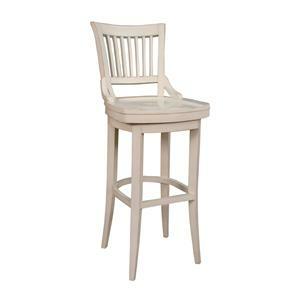 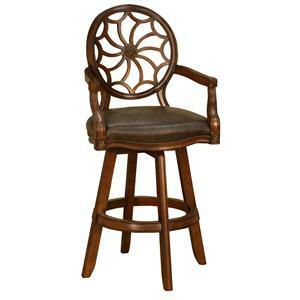 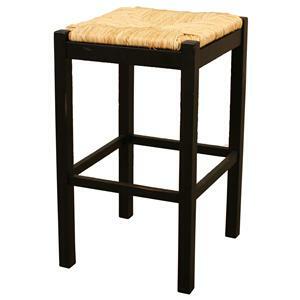 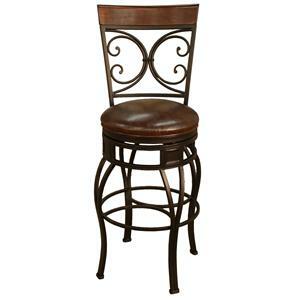 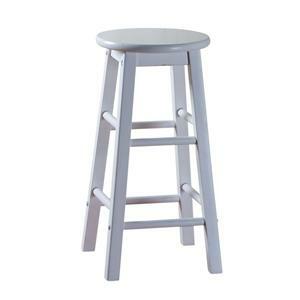 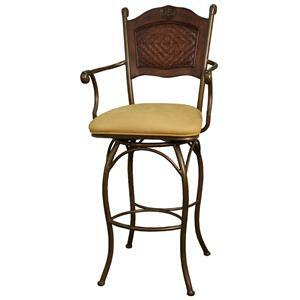 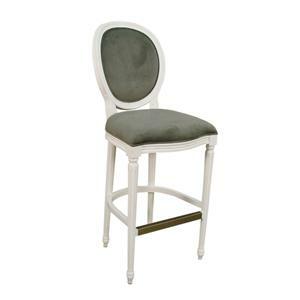 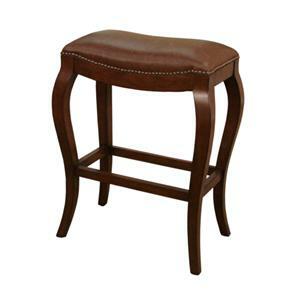 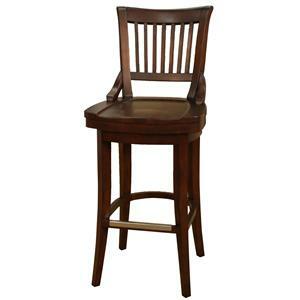 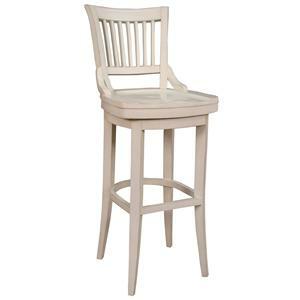 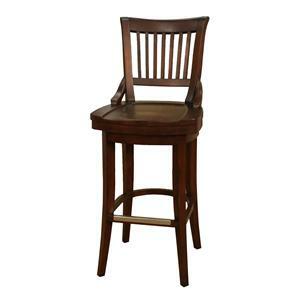 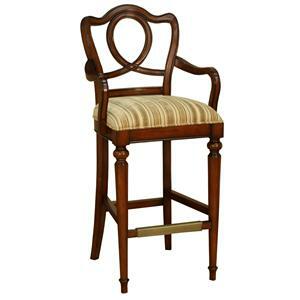 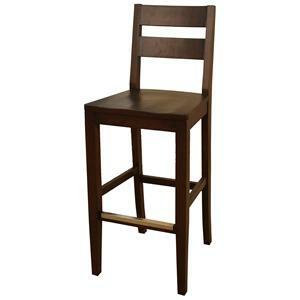 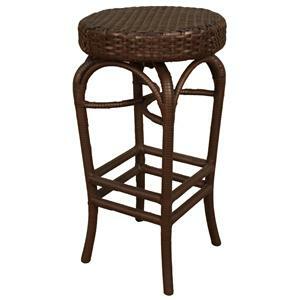 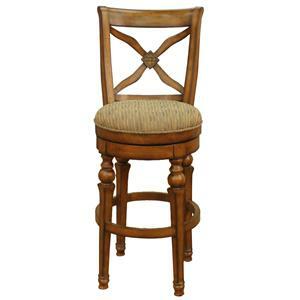 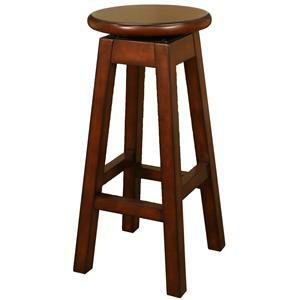 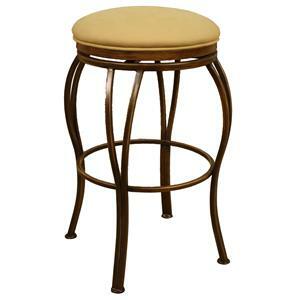 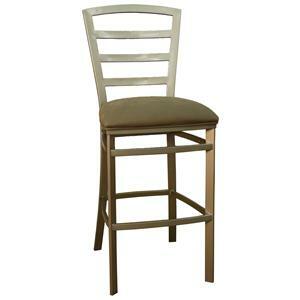 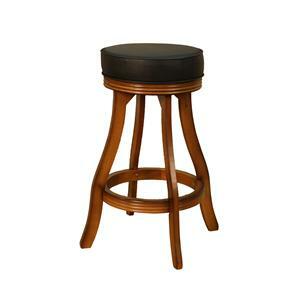 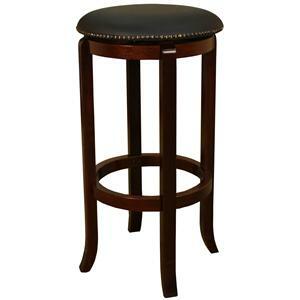 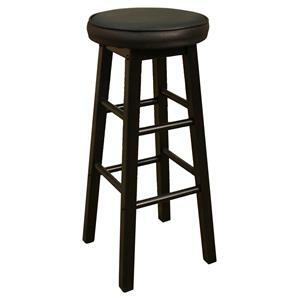 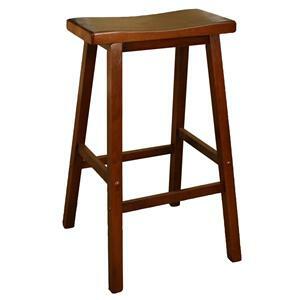 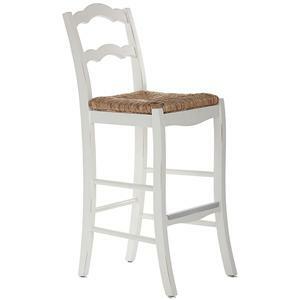 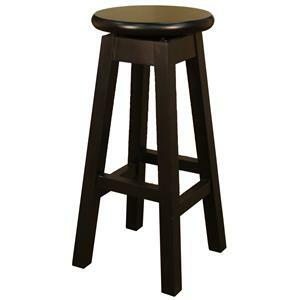 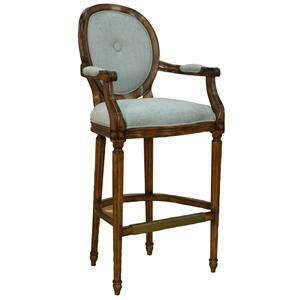 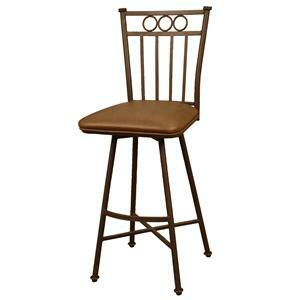 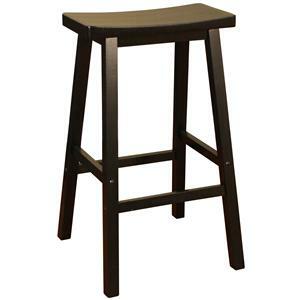 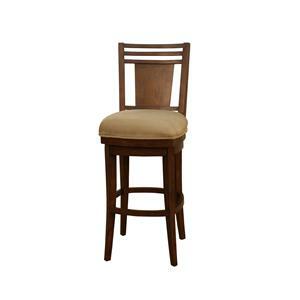 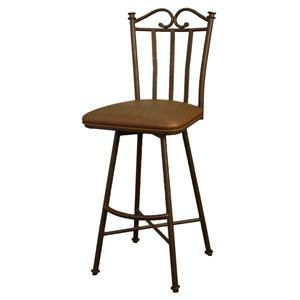 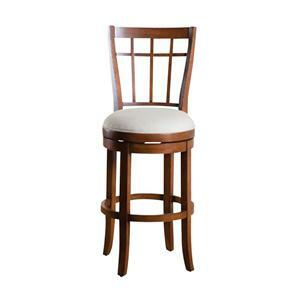 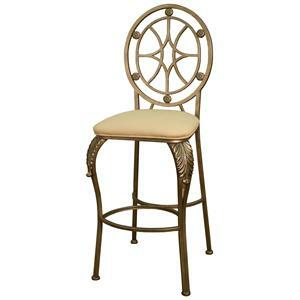 This stool is made available in 30" and 26" seat height options for your home. 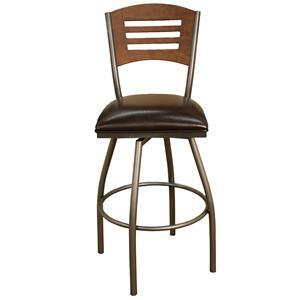 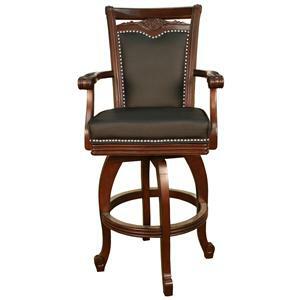 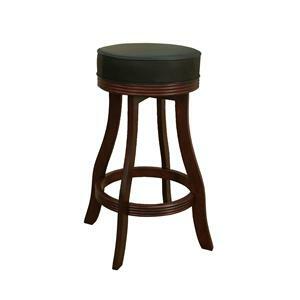 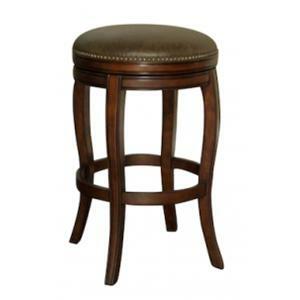 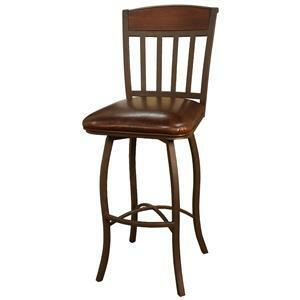 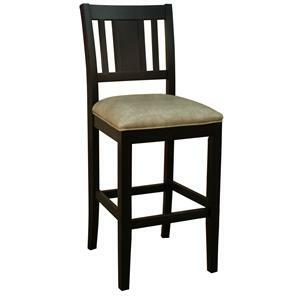 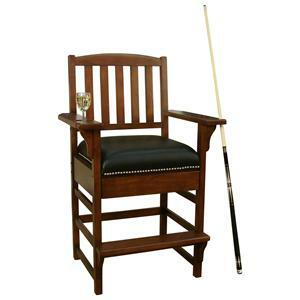 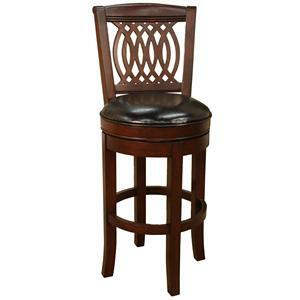 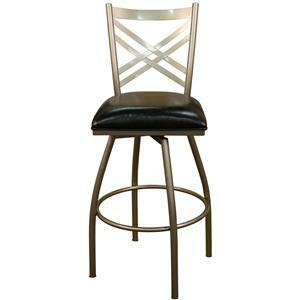 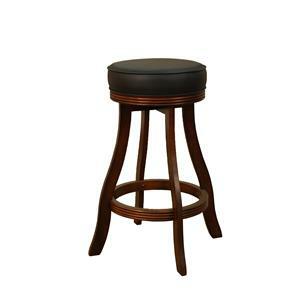 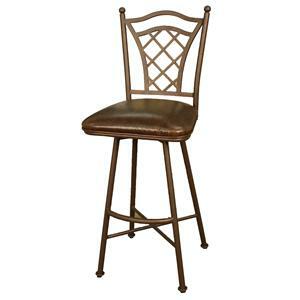 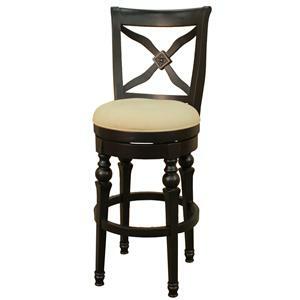 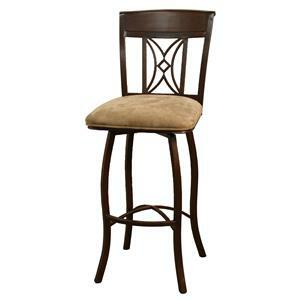 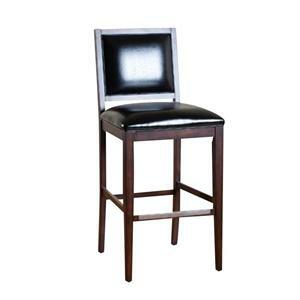 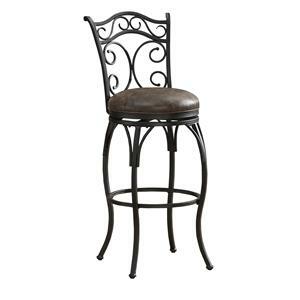 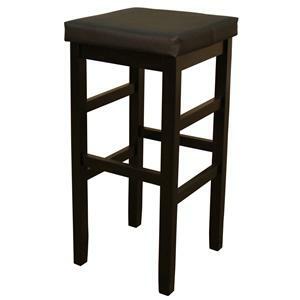 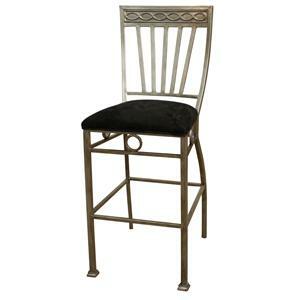 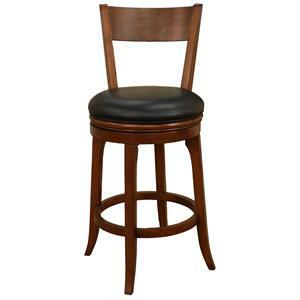 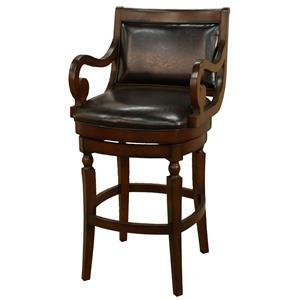 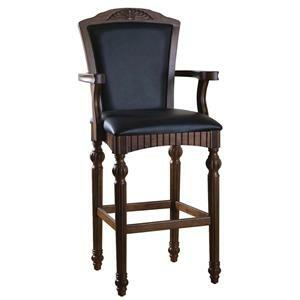 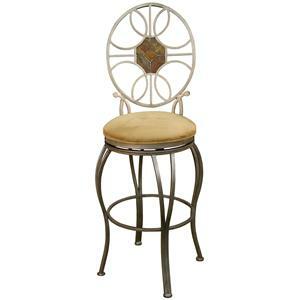 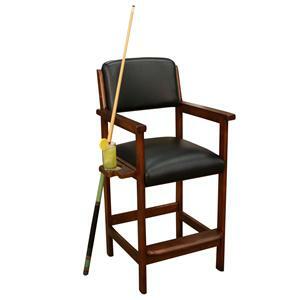 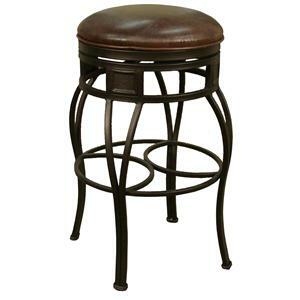 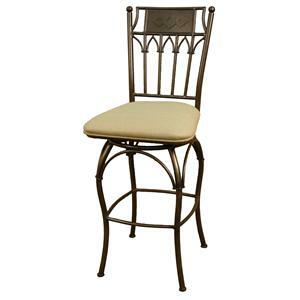 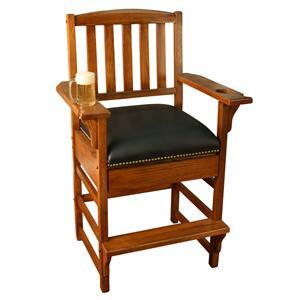 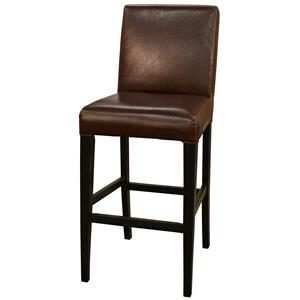 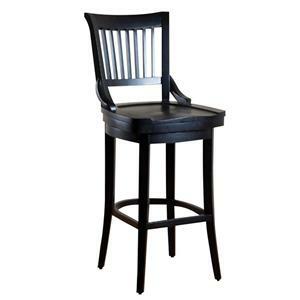 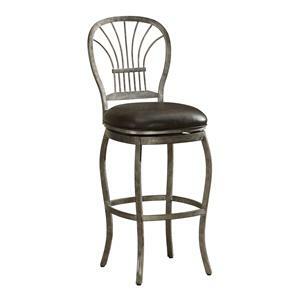 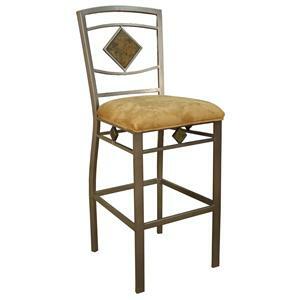 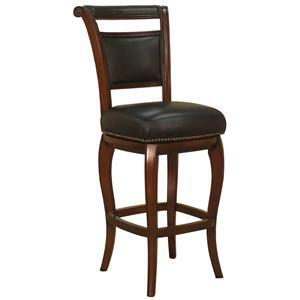 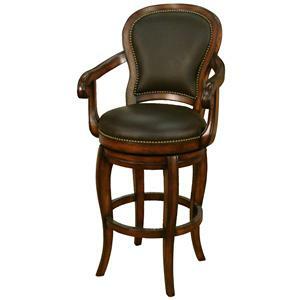 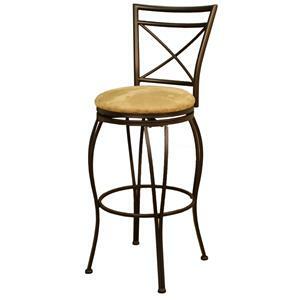 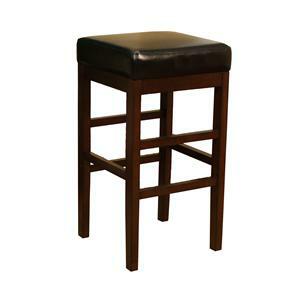 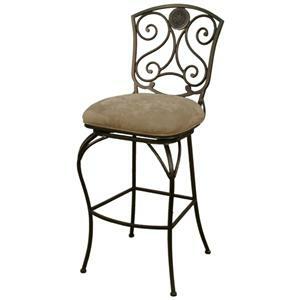 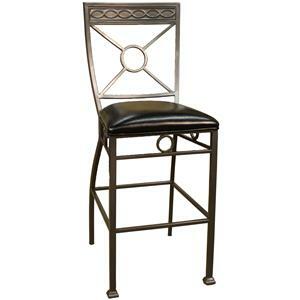 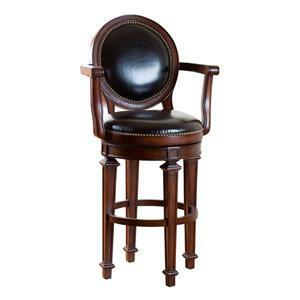 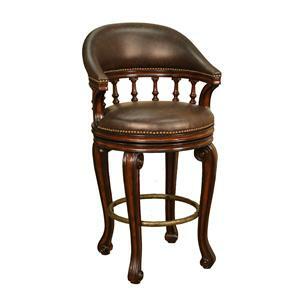 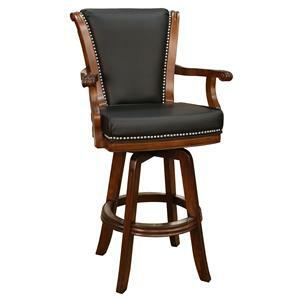 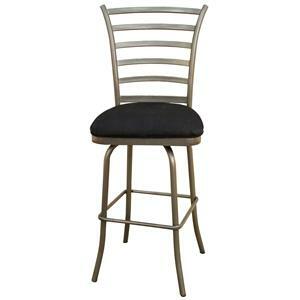 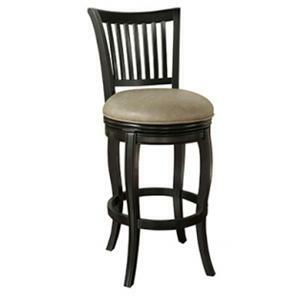 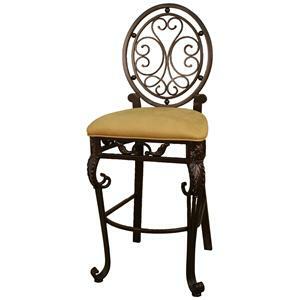 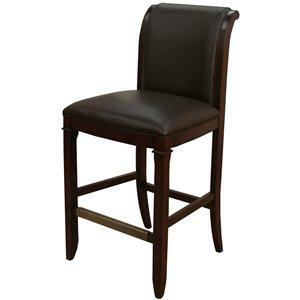 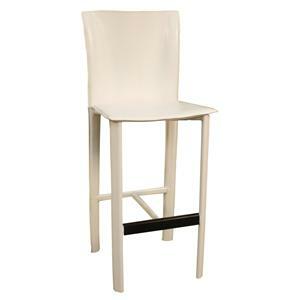 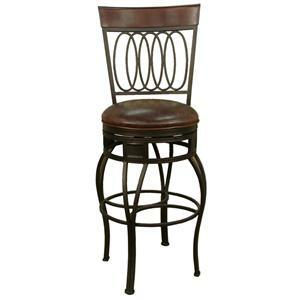 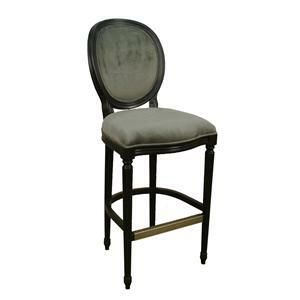 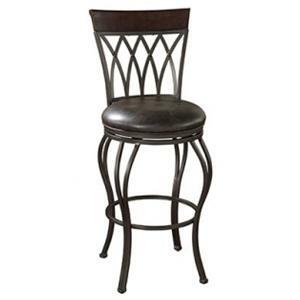 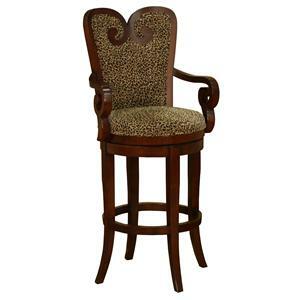 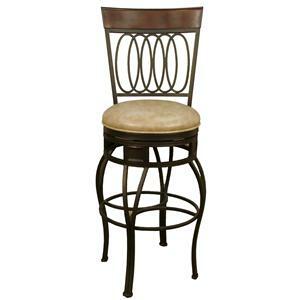 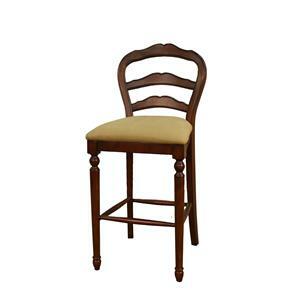 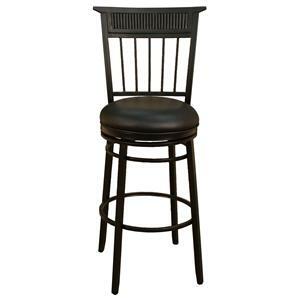 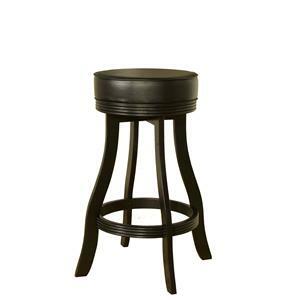 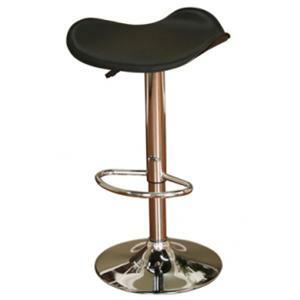 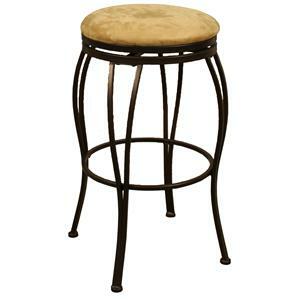 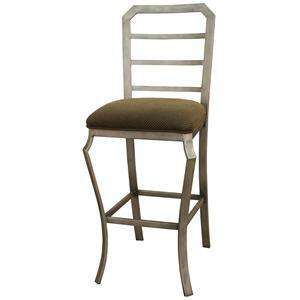 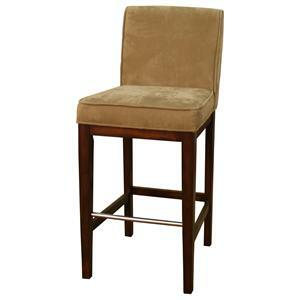 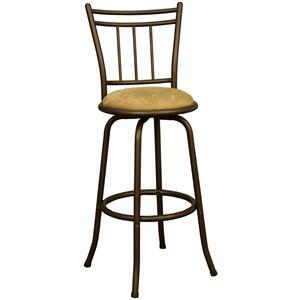 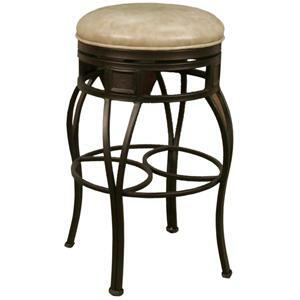 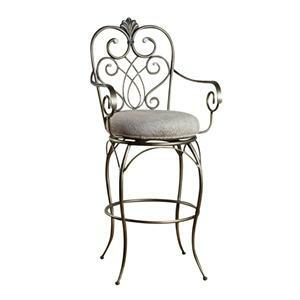 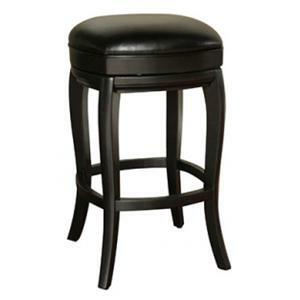 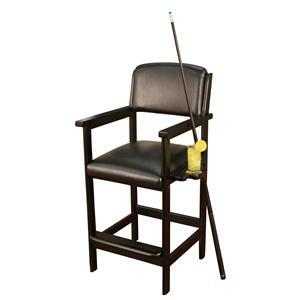 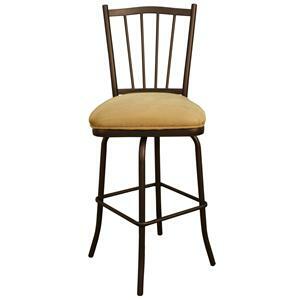 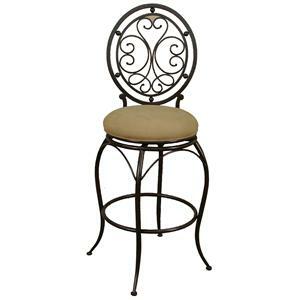 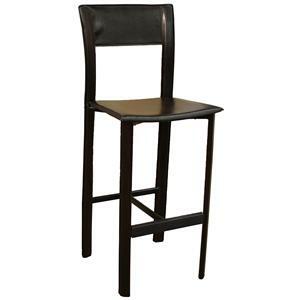 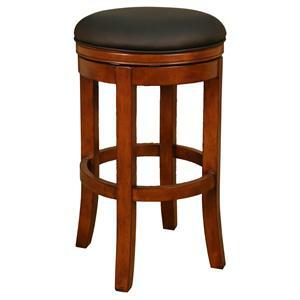 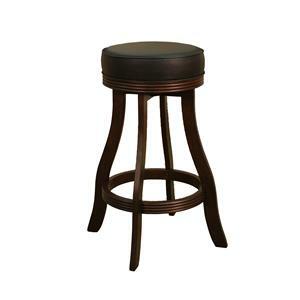 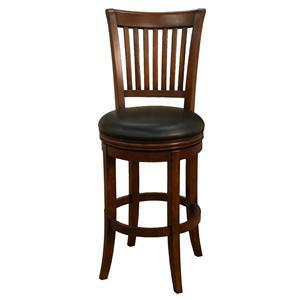 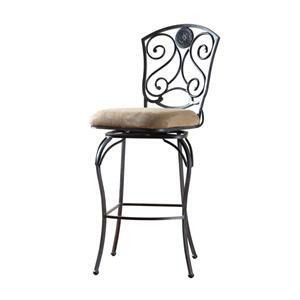 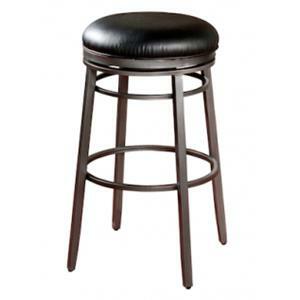 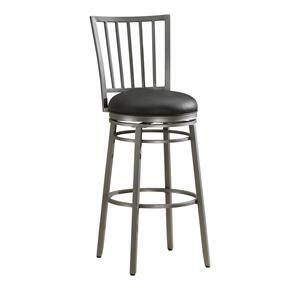 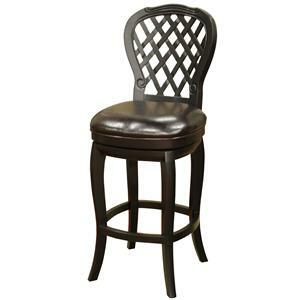 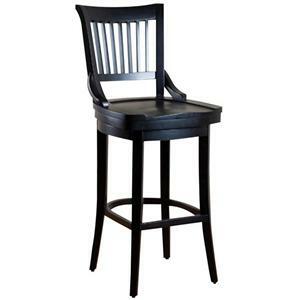 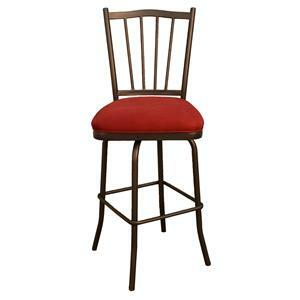 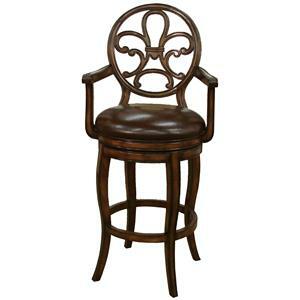 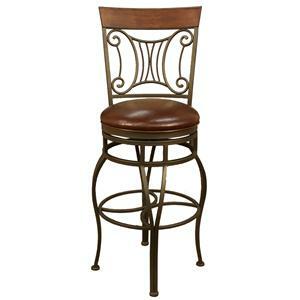 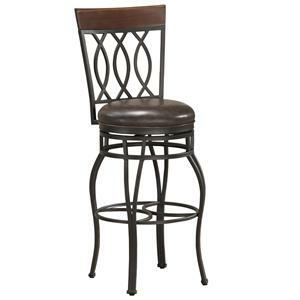 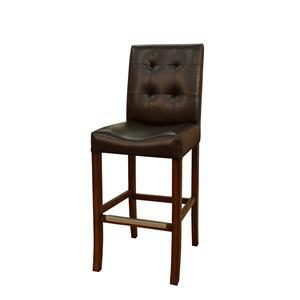 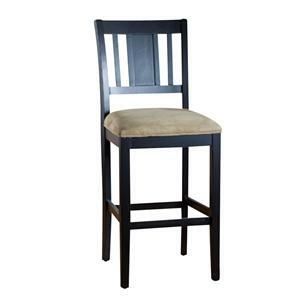 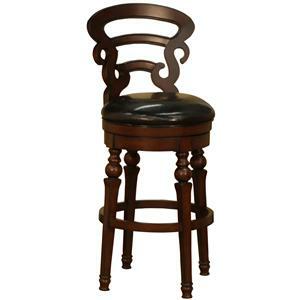 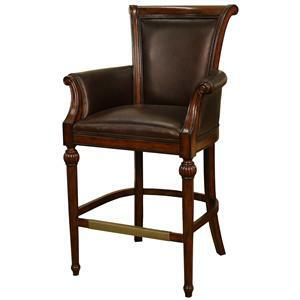 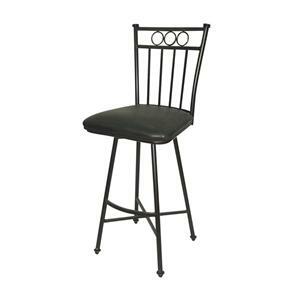 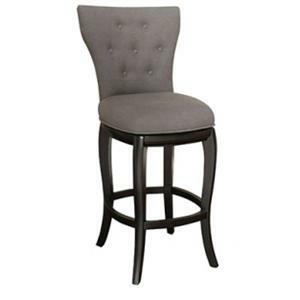 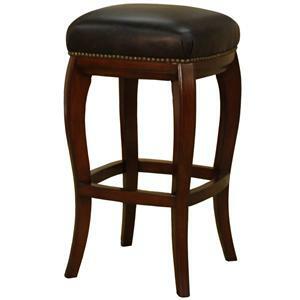 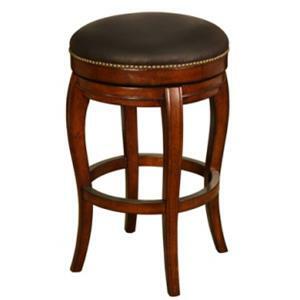 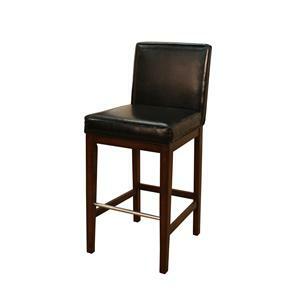 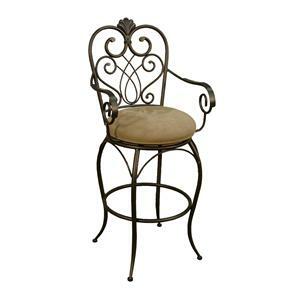 The Bar Stools 26" Black Dante Bar Stool by American Heritage Billiards is available in the area from FMG - Local Home Furnishing. 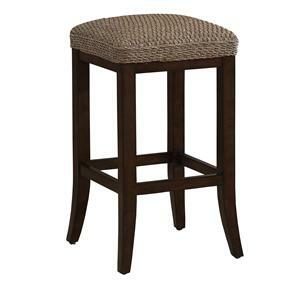 Seat Peet microfiber upholstered cushion seat. 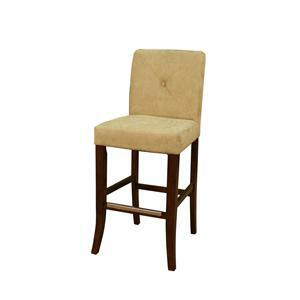 Seat Back Peet micro fiber upholstered round back.